BIAS FREE CME -No Commercial Support was provided for this CME activity. Describe developments in targeted temperature management in the cardiac arrest patient. Identify new guidelines for medication use in the cardiac arrested patient. List more invasive practices proposed in the effort to increase patient survival. List antidotes currently recommended for specific ingestions and overdoses. Define guidelines for transplant referral and for dialysis after poisoning. Appraise cost-effective strategies in the evaluation of the patient who has lost consciousness. Name interventions which have value in the evaluation of the patient with near-syncope. Name agents used to provide sedation for procedures, and list their potential complications. Differentiate agents based upon their side effects and desired usage in selected patients. Recognize testing and signs of the child with a serious bacterial infection. Describe potential advances in the evaluation of the febrile infant. Indicate challenges with the practice of medicine outside of traditional health care settings and large crowds. List likely complaints by type of event an by type of likely spectators. Name agents useful in the sedation and paralysis of the patient is urgent need of airway support. Identify barriers to smooth airway management. Accurately assess and diagnose life-threatening causes of acute chest pain. Compare and select appropriate antiplatelet therapy for patients with acute coronary syndrome, with a focus on the appropriate duration of therapy. There are now four new oral anticoagulants for atrial fibrillation. There is often confusion regarding appropriate patient selection. Accurately diagnose cardiac and noncardiac problems based on the ECG. Assess which patients would be potential candidates for transcatheter aortic valve replacement surgery. Understand the current blood pressure guidelines for the general population, the elderly, those with kidney disease, and those with heart failure. Assess atherosclerosis risk based on lipid profile. St. Joseph Health Medical Group, Eureka, CA. Dr. Michaels graduated from Harvard University with honors in History and Science. At the University of California-San Francisco (UCSF), he completed medical school, internship, residency, cardiology fellowship, and interventional cardiology fellowship. He was an Assistant Professor of Medicine and Co-Director of the Cardiac Catheterization Laboratory for six year. For the next four years, he was a tenured Associate Professor of Medicine and Director of the Cardiac Catheterization Laboratory at the University of Utah. Since 2010, he has served as Director of Cardiology and Cardiac Catheterization Laboratory at St. Joseph Hospital in Eureka, CA. He was worked as the Chair of the American Heart Association Acute Cardiac Care Committee. He has published over 80 original manuscripts, as well as numerous review articles, a cardiology textbook, and over 70 abstracts. He has been the recipient of clinical cardiology research grants from the National Institutes of Health, the American College of Cardiology, and the American Heart Association. He is currently an active interventional cardiologist in private practice. He completed his residency training at Hennepin County Medical Center in Minneapolis in Emergency Medicine. He has since attained a Masters in Business Administration from Case Western Reserve University. 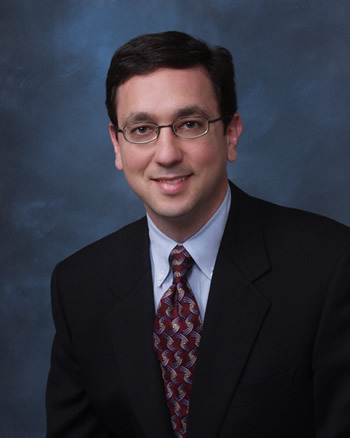 He is currently board certified in Pediatric Emergency Medicine as well as in Emergency Medicine. 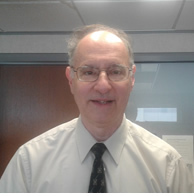 He serves as senior faculty in the residency training program in Emergency Medicine in Cleveland based at MetroHealth Medical Center and the Cleveland Clinic. He resides with his wife Barbara in Shaker Heights, Ohio. Costa Maya, Mexico - Exploring the dense tropical vegetation and wide sandy bays of the Costa Maya, it's easy to imagine the days when sacrifice and slavery, rite and ritual were rampant in the Mayan culture. Even today, the countless ruins of temple walls, stairs and secret pathways exude magic and mystery. And when your archaeology lesson is complete, glorious stretches of coral sand may inspire you to build your own empire-of sand castles, of course! Cozumel, Mexico - The Conquistadors first saw Mexico from the shores of Cozumel while searching for gold in the new world. Today, visitors to the island find out gold and silver jewelry in the dockside (and other) shops of San Miguel while having a great time in its many local bars and restaurants. Families, too, can easily find fun in Cozumel: there are a couple of water themed "parks" with lovely beaches stocked with many water sports options including a kid-friendly obstacle courses. Pleasant Horseback riding is also available with professional staff to ensure safety. Underwater adventure is here, as well; the waters around Cozumel's sheltered coral reefs make this one of the best snorkeling areas in the world. 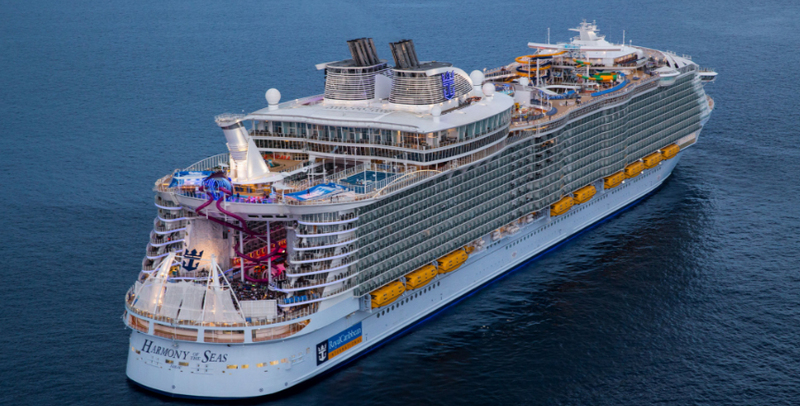 Exclusive Experiences: Your Royal Genie and Concierge craft moments just for you. Inclusive Amenities: Complimentary services and amenities make every last detail unforgettable. Unparalled Accommodations: Retreat to the most spacious luxury suites at sea. Stateroom: 545 sq. ft. Balcony: 114 sq. ft.
Sky Class Grand Balcony Suite (GS) - Grand Suites offer a comfortable bedroom, a living area, private balcony and extra perks for guests. Two twin beds (can convert to a Royal Suite). Sky Class Exclusives: Coastal Kitchen Access, Voom - The Fastest Internet at Sea, Exclusive Concierge Services, Suite Lounge, Exclusive Signature Activities, Exclusive Suites Beach Access, 1-Day Thermal Room Access, L'Occitane Bathroom Amenities, Luxury Pillowtop Mattress, Bottled Water. Royal Sea Class-Junior Balcony Suite (JS) - Sea Class Exclusives: Dinner Access to Coastal Kitchen, Luxury Pillowtop Mattress, L'Occitane Bathroom Amenities . The Royal Suite Class Program will be applicable on sailings beginning Apr 30th.These suites offer a comfortable bedroom, small sitting area and a private balcony. Prices are Per Person, Double Occupancy, and Subject to change. 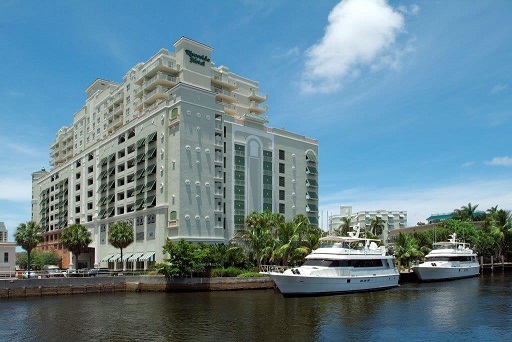 Riverside Hotel is located in the heart of downtown Fort Lauderdale, on trendy Las Olas Boulevard which features cool sub-tropical breezeways and courtyards alive with sidewalk cafes, lively nightclubs, chic boutiques, art galleries, and world class restaurants. Guests enjoy the outside pool and sundeck with a beautiful view of the yachts cruising by on the New River just steps away. Las Olas Boulevard runs from the center of the Fort Lauderdale's Downtown Business District to the Atlantic Ocean and Fort Lauderdale Beach. 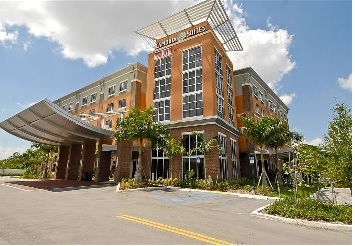 Only four miles away from Fort Lauderdale/Hollywood International Airport and Port Everglades, and less than two miles from Fort Lauderdale Beach, Riverside Hotel is the perfect location for your time in South Florida. Ask your CEI agent for details and availability. 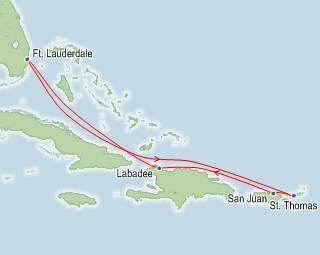 If you&apos;re looking to enhance your cruise vacation from Fort Lauderdale, FL, come in a day early and stay at Cambria Hotel & Suites Fort Lauderdale, Airport South & Cruiseport . A 4-mile drive from Fort Lauderdale-Hollywood International Airport, this relaxed hotel is also 9 miles from the Port Everglades cruise terminal, and 7 miles from Gulfstream Park's casino and sports venues. The above rates are based upon availability. All rates are subject to applicable sales and occupancy tax, currently 1 2%. Rates are based on availability. Complimentary A irport Transportation from 5:00am lo 12 Midnight. **Available at Cambria,Gourmet Bistro serving a hot breakfast buffet with made to order items available at $9.95 per person plus tax. Full service Bar & Restaurant also opens for Cocktails and Dinner at 5pm.